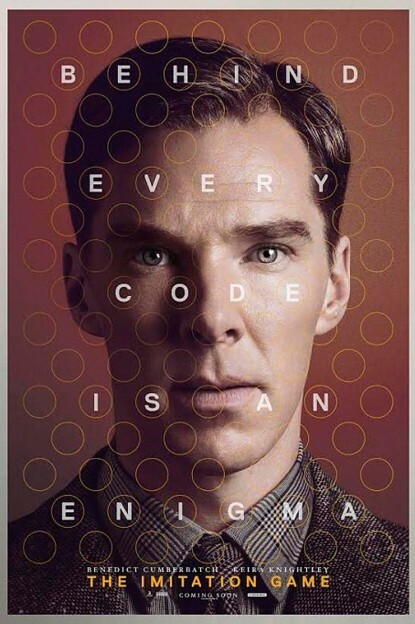 Cracking the Academy Awards’ code isn’t nearly as difficult as breaking the Nazis’ Enigma machine, as Benedict Cumberbatch does as genius mathematician Alan Turing in one of this year’s Oscar front-runners, The Imitation Game. In fact, several factors give you a leg up in the statuette race, and the WWII thriller isn’t the only candidate that checks off all the boxes. So does the Stephen Hawking biopic The Theory of Everything. Let’s break down the formula. 1) A British accent. The English Patient, Shakespeare in Love, The King’s Speech… the list of U.K. imports that have conquered the Oscars goes on and on and on. The Imitation Game‘s cast is almost entirely British—in addition to Cumberbatch, who’ll likely land a Best Actor nomination, there’s Keira Knightley, Matthew Goode, Mark Strong, Charles Dance, and more. As for The Theory of Everything, the ALS-afflicted Hawking may speak with an American accent after he’s hooked up to a voice machine, but Eddie Redmayne is a true-blue Brit, as are his co-stars Felicity Jones and David Thewlis (who’s looking more and more like Alan Rickman). 2) A beautiful mind. From Russell Crowe in A Beautiful Mind to Matt Damon in Good Will Hunting, big-screen geniuses tend to impress the Academy. Even moreso if they’re socially challenged, as Redmayne’s gawky Hawking is, even before he loses the ability to walk and talk, and Cumberbatch’s Turing is, due to his hidden homosexuality and possibly undiagnosed Asperger’s Syndrome. (He can decode the most complicated cryptogram but is baffled by the simplest social cues.) The same holds true for the Emmys, by the way. Just ask The Big Bang Theory‘s three-time Best Actor winner, Jim Parsons, whose Dr. Sheldon Cooper worships Hawking (a Big Bang guest star) and shares many traits with Turing. 3) An impossibly supportive spouse. Think Jennifer Connelly in A Beautiful Mind or Helena Bonham-Carter in The King’s Speech. Or Jim Broadbent in Iris, to turn the gender tables. The Academy Awards love to reward patient partners, and even though Jones’ Jane Hawking and Knightley’s Joan Clarke ultimately have issues with their demanding mates, you’ve gotta give them credit for sticking it out as long as they do. 4) A grueling but inspirational true story. You only have to look back to last year’s 12 Years a Slave to see that Oscar voters love to support real-life underdogs who overcome the odds. (Earlier examples include Braveheart and Gandhi). The Imitation Game and The Theory of Everything may come up a little bit short in this category compared to Unbroken‘s Olympic champion-turned-Japanse prisoner Louis Zamperini, but Turing and Hawking certainly endured their share of personal struggles on the road to professional triumphs. 5) A no-name director. Surprisingly, the Directors branch often recognizes little-known or even first-time filmmakers. Had anyone heard of Michel Hazanavicius before The Artist (or since)? Ditto Beasts of the Southern Wild‘s Behn Zeitlin. The Imitation Game‘s Morten Tyldum is a nobody outside his native Norway, and The Theory of Everything‘s James Marsh is more notable for his documentaries Man on Wire and Project Nim than his obscure previous features like Wisconsin Death Trip and Shadow Dancer. Could they be this year’s Tom Hooper? Like his King George VI, they’d better start preparing a speech.